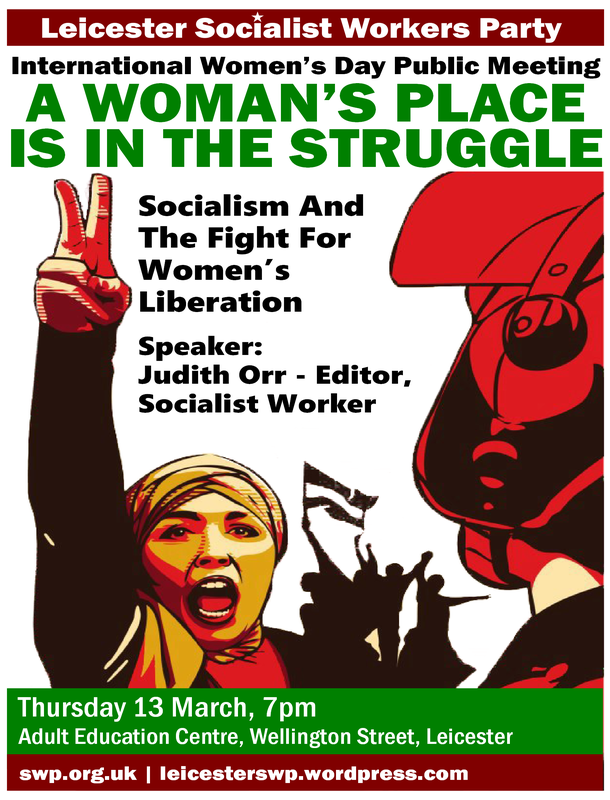 Judith Orr, Editor of Socialist Worker, will be speaking at our public meeting ‘A Woman’s place is in the struggle’ – putting the politics back into International Women’s Day. The meeting is on Thursday 13 March, 7pm at the Adult Education Centre, Wellington Street, Leicester. This entry was posted on Feb 27, 2014 by leicestersocialistworkersparty in Socialism, Women's Liberation and tagged communism, International Womens Day, left-wing, leicester, Marxism, politics, socialism, socialist, socialists.